Prime Silverdale development land in changed hands in August when Newlife church sold its 8-acre property on Clear Creek Road to The JWJ Group of Silverdale for $3.75 million. 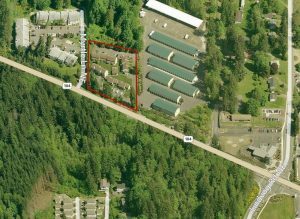 Newlife bought the parcels in 2008 with plans for a Central Kitsap campus. The church is now building a worship and training center in the former Silverdale Regal Cinemas building. The Clear Creek sale was among a number of high profile commercial real estate transactions completed in August and September. 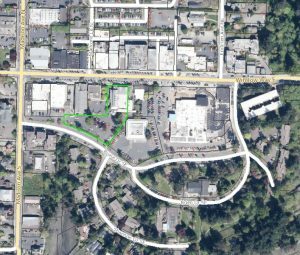 Some we’ve already written about, like the sale of undeveloped land in College Marketplace and the former American Marine Bank headquarters on Bainbridge. 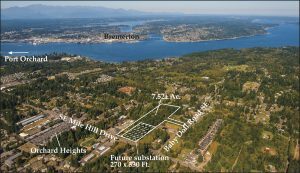 Description: More than 60 acres of development land in Poulsbo’s College Marketplace master plan area, zoned for a mix of business park, commercial and residential uses. 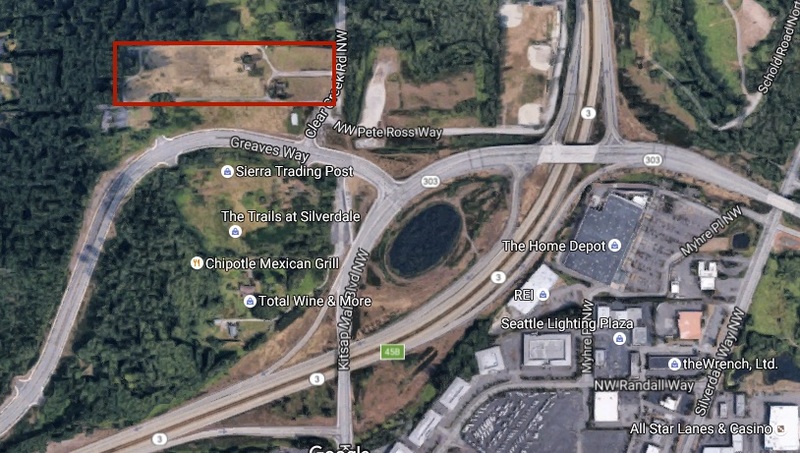 Notes: The buyer was Hotel Concepts of Seattle, which plans a 110-room hotel on five acres near Home Depot. Land not needed for the hotel is back on the market. Union Bank took over the land in a foreclosure sale last year. 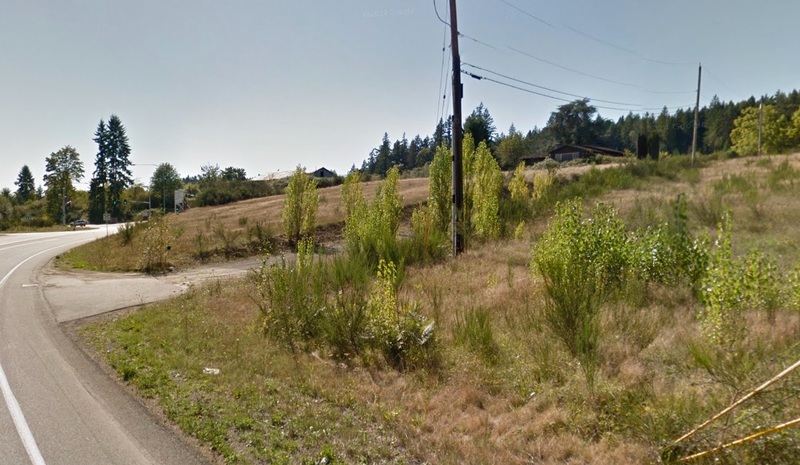 Description: Two parcels totaling 8.6 acres west of Clear Creek Road, just north of Greaves Way and The Trails at Silverdale shopping center. Notes: Newlife bought this property in 2008 with plans to build a campus there. The church is now building a center near the Silverdale YMCA. Description: Original American Marine Bank headquarters at 249 Winslow Way. Constructed in the 1940s. Now home to Columbia Bank. Notes: The property was purchased by islander George Lobisser as an investment. The Columbia Bank branch will remain in place. 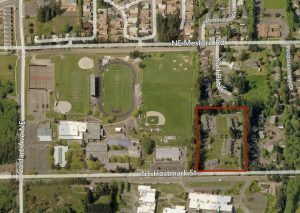 Description: An apartment complex on five acres on Hostmark Street, east of North Kitsap High School. 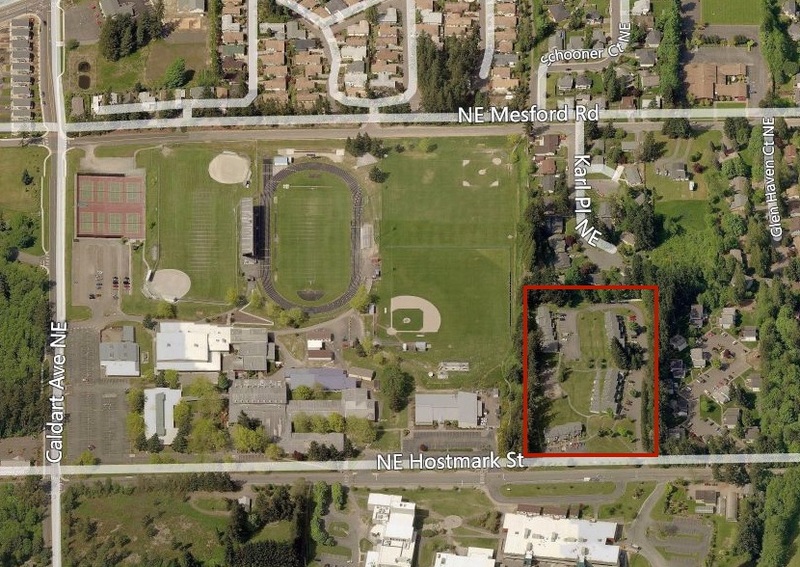 Notes: The same buyer purchased the neighboring Woodcreek apartments, and has plans to add 24 units to the combined properties. Description: A newly-constructed fast food restaurant on 1 acre at the intersection of Viking Avenue and Highway 305. 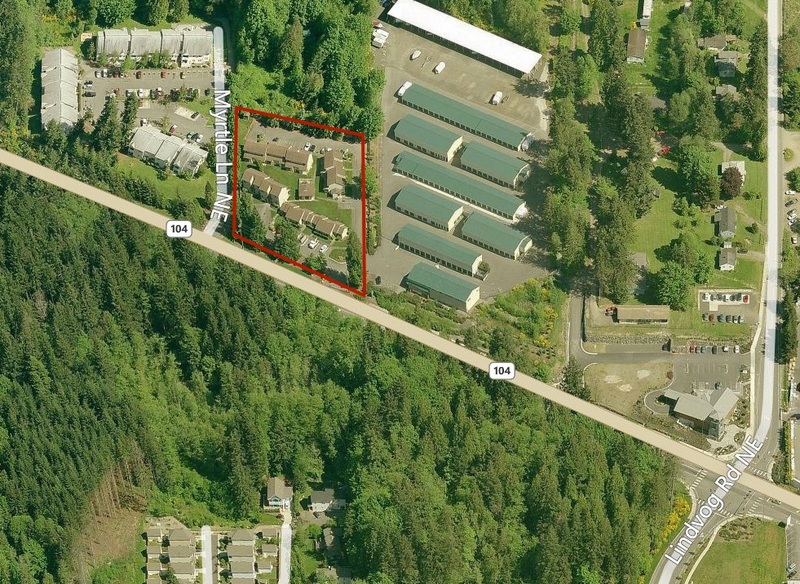 Description: An 11,660-square-foot commercial building on 1 acre at 253 Winslow Way West. Notes: Home to Seattle Children’s Bainbridge Bargains Boutique. 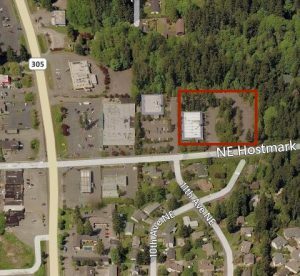 Description: A 34,000-square-foot commercial building and parking lot on 3 acres at 1050 NE Hostmark Street, east of Highway 305. Notes: Built in 1984, according to a listing. Description: A 14,400-square-foot building on 1 acre on Highway 104, next to the Food Market. Notes: Home to Henery Hardware. 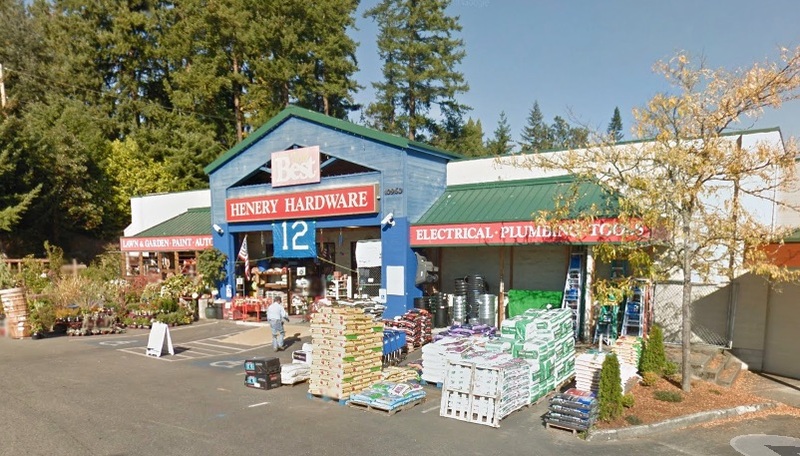 It appears the Henery family just bought the building from owners of the shopping center. Description: Two commercial buildings on 4.5 acres in the Day Road industrial area. Notes: The main building once housed Sound Publishing printing presses and the Bainbridge Review newsroom. Now home to Salisbury Woodworking. Description: A 14,000-square-foot bank building on 1 acre at the corner of Silverdale Way and Myhre Road. Notes: One of several Frontier Bank branches acquired by Union Bank when Frontier failed. 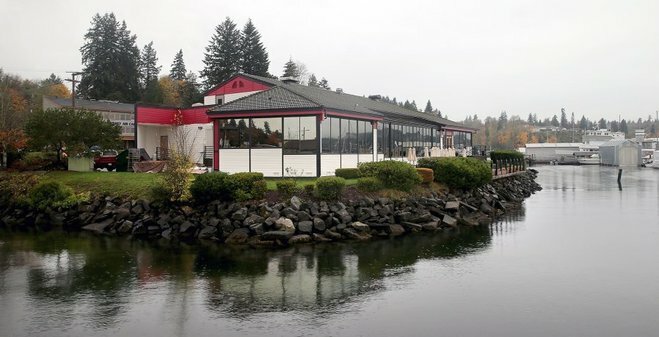 Description: A 9,250-square-foot restaurant at 429 Bay Street on the Port Orchard waterfront. Notes: New owner Ali Kashi plans to open a Cheers Bar & Grill in the landmark restaurant building in January. Description: An apartment complex at 10434 Highway 104 next to Reliable Storage. Description: Four parcels totaling about 26 acres on Victory Drive, near the intersection of Sunnyslope Road and Highway 3, and a duplex on Jones Drive in Port Orchard. Notes: This was a forced sale. 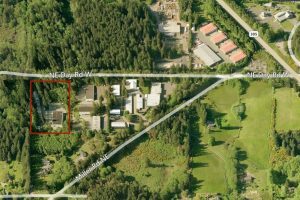 The land was formerly owned by South Kitsap Family Worship Center. CLICK HERE TO SEE MY COMMERCIAL REAL ESTATE ROUNDUP FOR APRIL THROUGH JULY. The Home Builders Association of Kitsap County unveiled a new name and logo earlier this month. 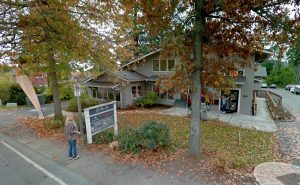 The group has changed its name to the Kitsap Building Association, to better reflect its mix of members from both the residential and commercial construction industries. The association’s board approved the new brand in January, according to a news release. Poulsbo-based Rockfish Group designed the Kitsap Building Association logo, pictured above. The full news release is posted below. 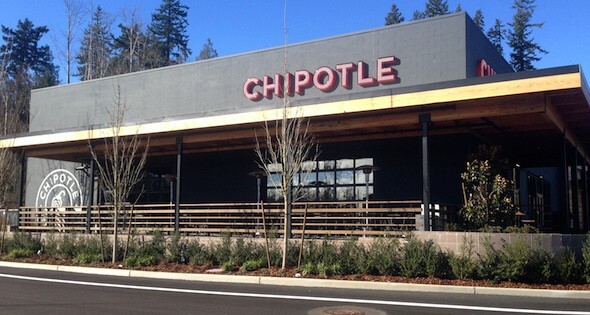 Two businesses are ready to open in Wintergreen Walk, a new High School Road shopping center that stirred controversy on Bainbridge island. A 14,500-square-foot Walgreens pharmacy will debut at 8 a.m. Friday. A 3,300-square-foot Key Bank branch opens at 9 a.m. Monday. Wintergreen Walk encompasses eight acres on the northeast corner of Highway 305 and High School Road. Key Bank, which was previously located behind McDonald’s on the south side of High School Road, now occupies a prominent place above the intersection. Walgreens is tucked behind. Both buildings feature drive thrus. Key Bank Manager Jon Phelps said the new branch shows the bank’s commitment to the Bainbridge. 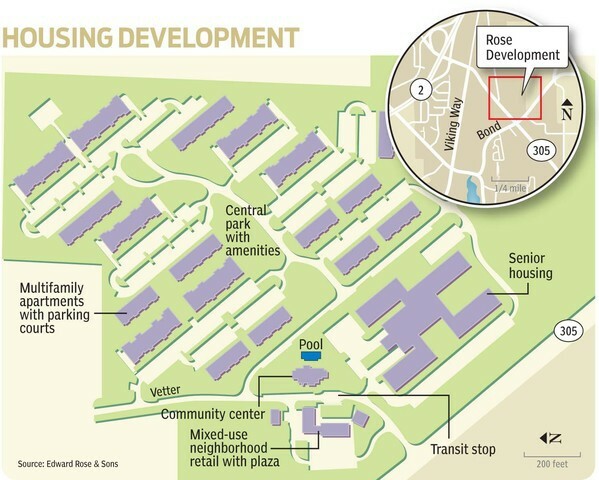 Wintergreen Walk is being constructed in phases, and could eventually offer 60,000 square feet of leasable space for restaurants, retail and medical offices, spread across seven buildings. 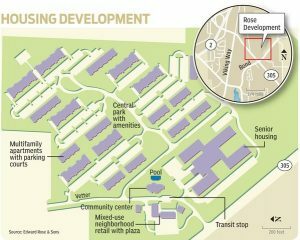 Headed by Visconsi Companies, a midwest development firm, the shopping center incited backlash from its inception. Islanders held protests on street corners, decrying what they saw as unnecessary suburban sprawl. In August 2014 a teenaged protestor climbed 70 feet into a Douglas fir and camped for 40 hours to draw attention to the development plans. In the end, the trees came down and construction moved ahead. The city issued the first building permits in March. Watch for a full story in the Monday Kitsap Sun and Nov. 20 Bainbridge Islander. Office building vacancies declined over the past year in most of Kitsap County, according to a market report provided by Bradley Scott, Inc. in Bremerton. Bradley Scott surveyed 294 office buildings totaling 3.78 million square feet to create its February report, one of two studies it compiles each year. About 14.2 percent of office space in the county was vacant in February, compared to 15 percent in February 2014 (see charts below). The report noted overall vacancies were up slightly from July of 2014, but the increase was almost entirely due to new construction. Countywide, vacancy rates have been declining since 2012. Bainbridge Island saw a 4.43 percent decline it its vacancy rate from February 2014 to February 2015, ending at 9.96 percent. The island remains the county’s most active office market, benefitting from its close proximity to Seattle. 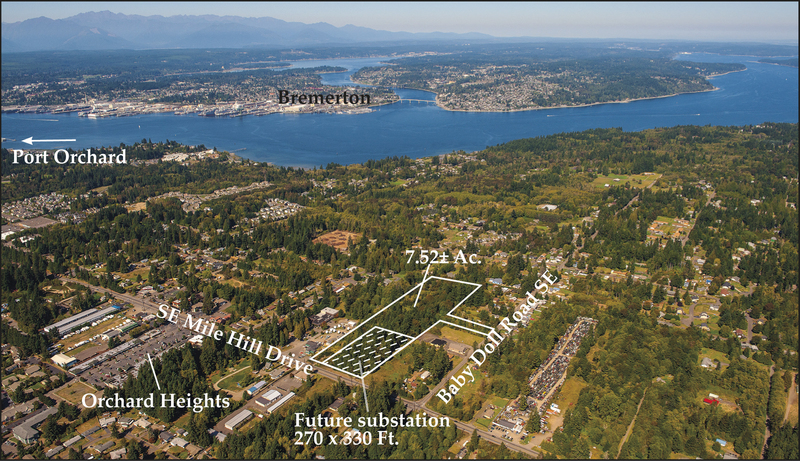 Bremerton boasts the largest inventory of office space in the county and the highest vacancy rate. 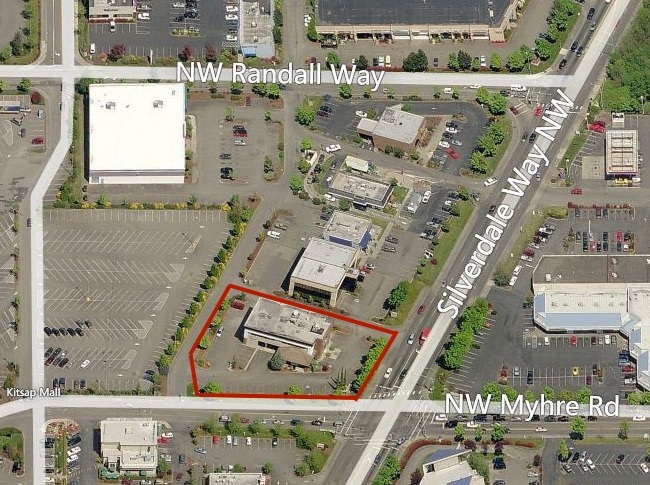 More than 19 percent of Bremerton office space was vacant in February. Port Orchard, the county’s smallest office market, saw its vacancy rate decline from 15.54 percent in February 2014 to 12.89 percent in February 2015. Poulsbo was the only market that experienced an office vacancy increase over the past year. 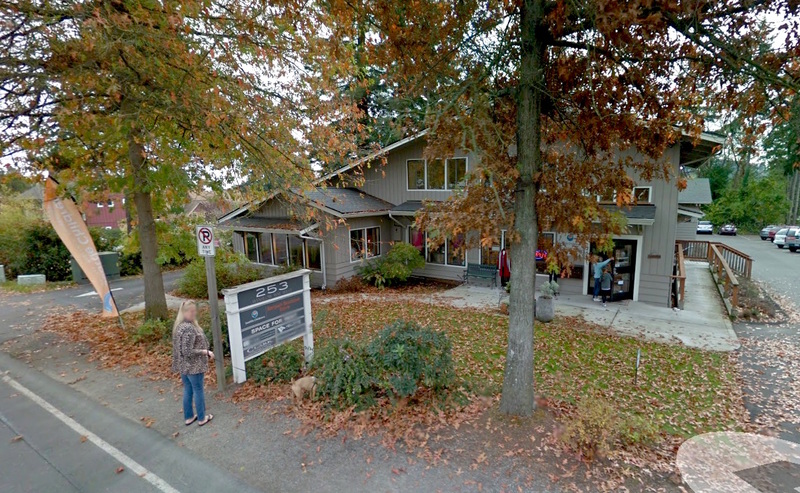 Poulsbo’s vacancy rate jumped from 12.93 percent in February 2014 to 14.69 percent in February 2015. The increase was largely due to one major tenant downsizing, according to the report. Silverdale, the county’s second largest office market, enjoys the lowest vacancy rate at about 8 percent. Though still lower than a year ago, vacancies in Silverdale actually crept up in the past six months as new space came on the market. 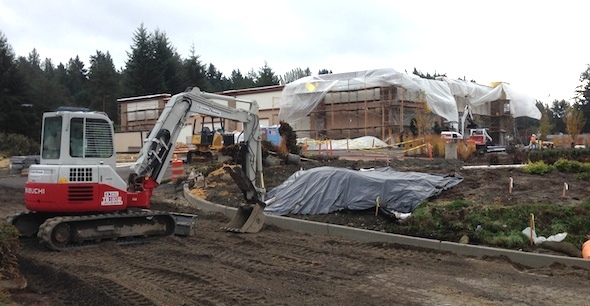 A veritable construction boom continues in Poulsbo this fall. So many commercial and residential projects are taking shape across town that it’s hard to keep track of them all. Luckily the city sent out a progress report last week to bring residents up to speed. Onsite site civil work is mostly complete and contractors are concentrating on building construction. 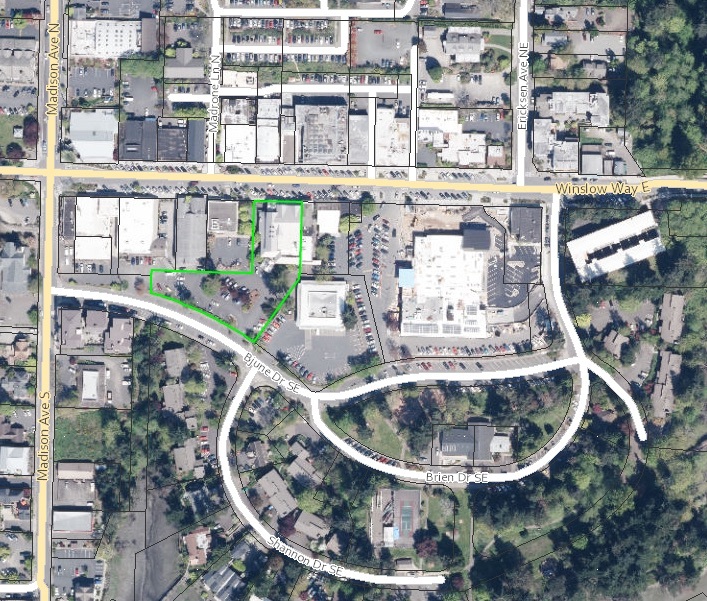 Offsite stormwater system work at Hostmark Street and 6th Avenue is under construction and is expected to be completed in the next two or three weeks. There will be limited traffic interruptions associated with this work. The CVS and fast food restaurant (yet to be announced) were approved in March. The former Northwest Design Center building was torn down to make way. 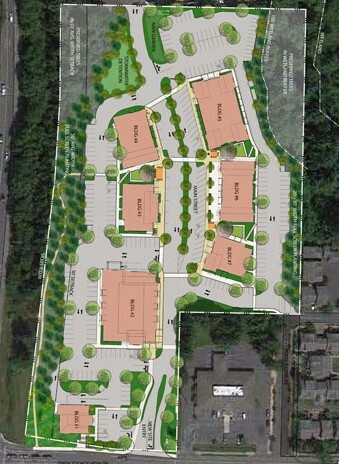 Site work slowed due to changes in the site plan that are being made but not yet approved. Work in the city right-of-way will begin shortly. There will be limited traffic interruptions. The Sonic was approved this spring. 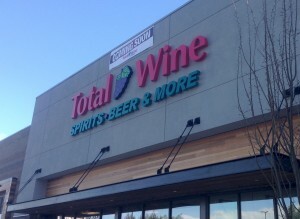 Early reports suggested the much-anticipated restaurant could be open by the end of the year. Early 2015 is looking more likely. Mountain Aire (Noll Road, pictured above) – Offsite sewer work continues. The sewer is now across Noll Road and is working toward the Mountain Aire project. Onsite mass grading is complete and the stormwater pond is nearly complete. Sommerset (Viking/Vetter area) – Onsite mass grading is complete. Utilities and stormwater pond are under construction. Vikings Landing (Viking area) – Approximately 80 percent of sitework is complete. Contractors are spreading rock abd working on winterizing the site. Olympic Crest (Pugh Road/Applewood area) – Onsite grading is nearing completion and contractors are working on utilities and stormwater pond. There will be limited minor traffic interruptions in the area. Update: The commission approved signing a right of first refusal agreement on the Nordic property Tuesday. Commissioner Larry Stokes abstained, saying he is personal friends with the owner. 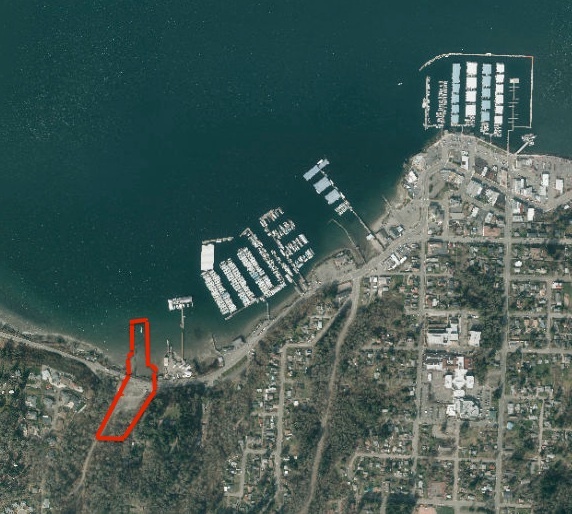 The Port of Bremerton is securing the option to buy a chunk of Port Orchard waterfront. Port commissioners will vote Tuesday on a right of first refusal agreement with Nordic Properties for about 2.5 acres of upland and tideland adjacent to Yachtfish Marine. Nordic Properties President Roger Jensen has already signed the agreement. The contract would give the port the option to buy the land if it finds a prospective tenant in need of a shoreline site. The Bay Street property is zoned industrial. “It’s just one of the few properties left where you have access to the waterfront there,” port CEO Jim Rothlin said. The port has good reason to seek commercial space on the shoreline. 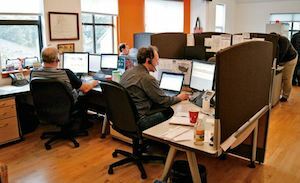 Its business properties in the freshly-rebranded Puget Sound Industrial Center are landlocked, which limits their usefulness for some maritime companies. Other shoreline properties owned by the port are largely devoted to marinas, piers and boat ramps. The combined assessed value of the seven Nordic parcels (outlined in red in the inset image) is about $200,000 according to county documents.